When it comes to the physical beauty of your home and your finances, planting trees as part of your outdoor landscape pleases the psyche, the eye, and ultimately, your wallet. In a study conducted by Roger S. Ulrich, PhD, director of the Center for Health Systems and Design at Texas A&M University, "discovered that patients whose hospital rooms overlooked trees had an easier time recovering than those whose rooms overlooked brick walls. Patients able to see nature got out of the hospital faster, had fewer complications and required less pain medication than those forced to stare at a wall." If that's what can happen when you're in recovery in a hospital, imagine the long-term implications day in and day out in your own home. The U.S. Forest Service reports that "strategically placed trees save up to 56 percent on annual air-conditioning costs," while "evergreens that block winter winds save up to 3 percent on heating." An article on "Trees and Forests: Earth's Most Abundant Renewable Resource" adds, "Further temperature reductions occur when water droplets evaporate from the trees' leaves." Cut down on heating and air-conditioning costs? What's not to like about that? Furthermore, greening up your environment automatically makes you green, as in environmentally friendly. 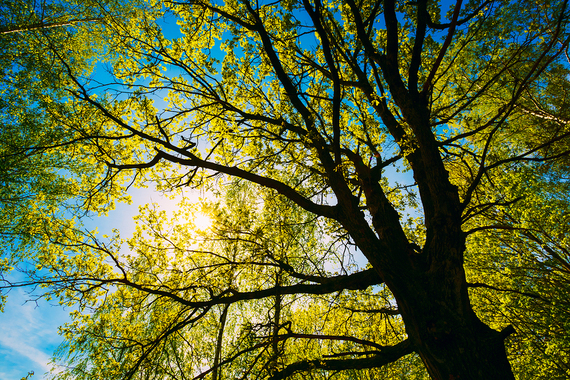 Trees may even help you grow a conscience. 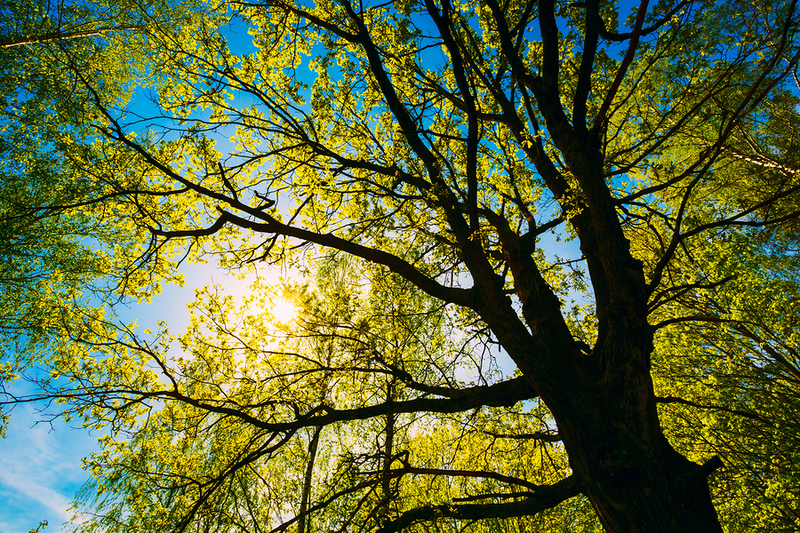 According to the Arbor Environmental Alliance, "A single tree can absorb CO2 at a rate of 48 lbs. per year." In "Do Trees Strengthen Urban Communities, Reduce Domestic Violence?" W.C. Sullivan, PhD and Frances E. Kuo, PhD reported, "We are finding less violence in urban public housing where there are trees. Residents from buildings with trees report using more constructive, less violent ways of dealing with conflict in their homes. They report using reasoning more often in conflicts with their children, and they report significantly less use of severe violence...in conflicts with their partners, they report less use of physical violence than do residents living in buildings without trees." So trees help promote world peace, or at least neighborhood peace. The green of trees promotes your psychological, physical and emotional well-being, all the while helping to lower some of your monthly bills. If you are considering purchasing a tree, be sure to look at a map of what trees will do well in the soil and climate in your part of the country. In general, trees tend to range in price from $50 to $200, though of course there are several more expensive options. Consider purchasing a few trees at a time and enlisting the help of an expert to help plant them to better ensure their healthy maturation. Once planted, trees also provide nice housing to local birds, insects and other animals. An added bonus is that trees tend to automatically increase the property value of your home. "If a landscaping change is positive, it can often enhance price and reduce a home's time on the market," says Appraisal Institute President Richard L. Borges II, MAI, SRA. So what are you waiting for? Check out your local nursery or home improvement store and green it up. You'll be healthier, from your head to your wallet to your toes.